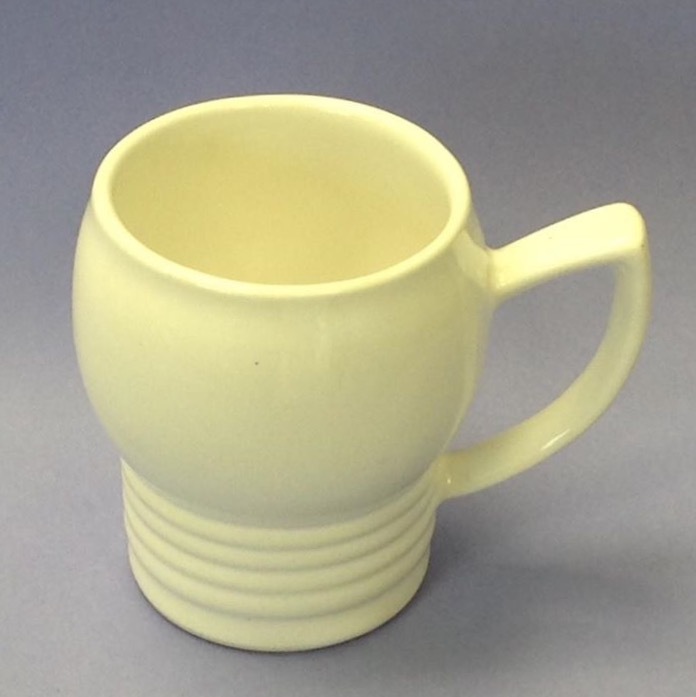 I have finally found a castware 1191 "elf ear handle mug" which dates from somewhere betweem 1973 and 1975. I've wondered for years now what this would look like and was really surprised at the shape. On a tight visit to Auckland I tossed up whether to pop into Westmere store Babushka. Dad, who was a dealer, introduced me to Sonia when I used to go antiquing with him many years ago now and I pop in when I remember. The shop is mainly English dinnerware but she has a little CL, some handthrown NZ pottery, and a small amount of glass. I occasionally find something really interesting there and Sonia gives me a nice price. 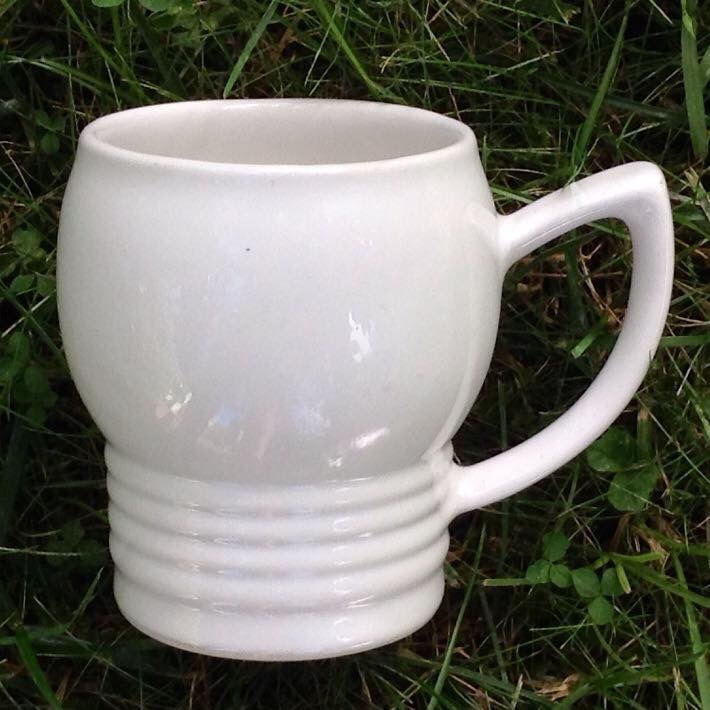 Sonia thought this looked like a Keith Murray mug, and I can see why. I suspect however that it may be modelled on something American as it has some similarities with mugs from Caribe in Puerto Rico. I may also have a coffee-to-go mug styled similarly too but will need to have a good scrounge around to check that out when I get home. I also think it would be a good shape for a Memphis mug, with coloured glazes it would really look the part. I dropped into the CL museum after my brief opshopping expedition and Hannah offered me the use of one of their cards for taking my photos. I thought blue would look nice with this CRISP WHITE-GLAZED mug but the ipad fooled itself, turned the card grey and the mug yellow so I will rephotograph before adding to the gallery. 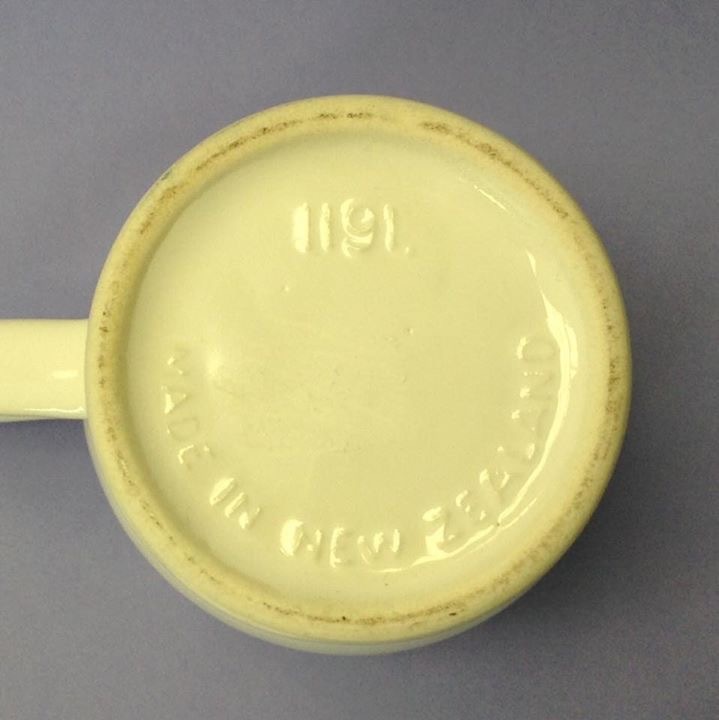 I love it when new castware mug shapes turn up, but especially when I find them! Congratulations on your relentless search and finding this in a most unlikely place. Oh how I miss going to the Museum!! I have so much to do there and I work Saturdays. I asked Hannah on Facebook yesterday if there was any news on a new director being appointed and she said that applications for the position only closed last week.